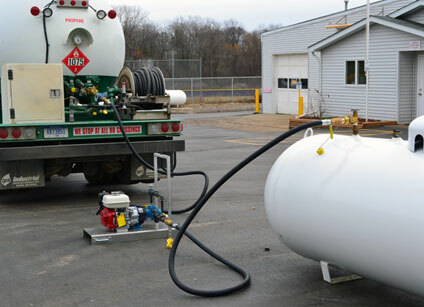 This training course (#SO03) has been designed to instruct your employees on the proper procedures for safely evacuating propane from consumer storage tanks. As we know, propane (both liquid and vapour) must be removed from the ASME consumer storage tank in order to permit the replacement of components, such as pressure relief valves (PRVs), service valves, and fill valves. Recent regulatory changes now require the pressure relief valve (PRV) on ASME propane storage tanks up to 2,500 USWG in capacity to be changed every 25 years. On tanks greater than 2,500 USWG, the PRV must be replaced every 10 years. Under normal circumstances, ASME storage tanks must have the volume of propane in the tank reduced to 5% of its maximum capacity prior to transporting the tank, although Transport Canada recently issued an equivalency permit to allow movement with more than 5%. Regardless of whether you will be evacuating the tank at the customer site or back at the propane bulk plant, this training course provides all the information your staff needs to safely evacuate and prepare the tank for PRV replacement. What they need to know about propane. What protective clothing they must be wearing. What they need to know about key safety considerations including first aid, ignition control and emergency planning. What they need to know about TDG regulations affecting the tasks covered in this training. The standards by which these tanks are built. The key components and fittings found on typical storage tanks including liquid withdrawal excess flow valves and unloading adapters. How to safely use the various pieces of equipment used to evacuate, move and transport propane storage tanks. Powered and manual tank moving equipment. Pre-evacuation checks, procedures, and transfer safety guidelines. Evacuation of propane storage tanks using a variety of methods. Using the pump on a propane bulk truck. How to deal with defective for no liquid withdrawal excess flow valve. How to flare the remaining liquid and vapour propane from the tank following evacuation. How to troubleshoot common pump and compressor problems. Procedures to deal with propane leaks. Accidental release and spill reporting requirements. 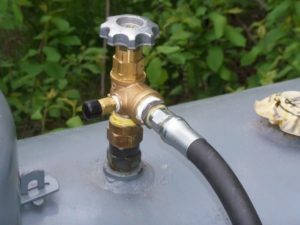 While certified gas technicians are responsible for disconnecting customer tanks from the system, reconnecting the replacement tank, and reactivating attached appliances, other personnel are usually involved. In addition to gas technicians, we recommend this course for any personnel who are involved in any aspect of the tank evacuation process including plant employees and bulk truck drivers.